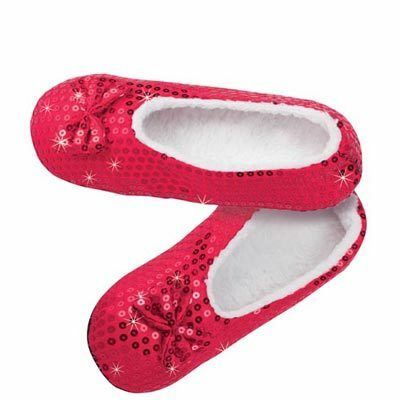 There's no place like home when you slip on these oh-so-soft Red Sequined Slippers! Covered in rich, ruby-red sequins, they feature non-slip soles and a cozy, faux shearling interior for instant comfort. Polyester. Machine wash. Imported. Hurry! Quantities are limited!